Asides enjoying sports, there’s also the feeling of fulfillment you get from cashing out after a winning ticket. “Putting your money where your mouth is” is a big deal. 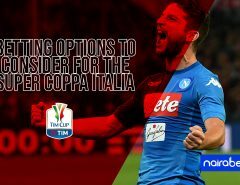 With each passing day, more and more people are looking for how to make their betting experience more enjoyable. This has been our focus on this blog since as far back as we can remember. And we intend to continue doing that for as long as possible. This time, we will be discussing the ways you can resolve any NairaBET issue that you have. 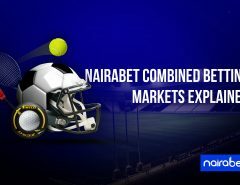 From what we’ve seen, many NairaBET customers experience different kind of challenges when it comes to betting. For some, it’s a cancelled game. For others, it’s one thing or the other about deposits and withdrawals. Whatever the case, most times, it’s not always about the challenges or issues that the customer is facing. Usually – and this complicates the matter a lot – it is about how most customers handle the different issues. 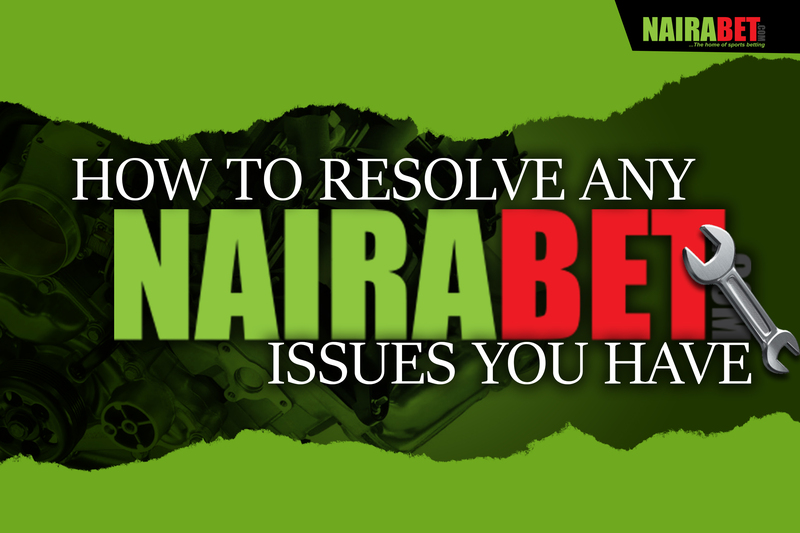 In light of these, we have chosen to show you three ways through which you can resolve any NairaBET issue that you either currently have or may have in the future. Did you know that NairaBET has a customer care centre that attends to customers 24/7? That’s right. They’re always available round the clock. They don’t go on holidays – all because of you, the customer. They’re always on hand to help you to resolve whatever issue that you may be facing. Whenever you need help as regards anything about your NairaBET account, just call 0700 NAIRABET – that is 070 0624 72238. No matter the issue that you may have, they will help you to get it resolved. Are you wary of spending all your credit talking to a customer care representative? Not to worry then. You can as well send a mail instead. If you feel you write better than you talk, then this option is probably the best for you too. All you need to do is send a mail to [email protected]. So go on ahead. Write that long mail that contains every issue/complaints that you have. Rest assured that NairaBET representatives will get in touch with you quicker than you expect. It’s okay for you to go on social media sites and rant about whatever issue that you may be facing. After all, it’s your account and you can do anything you want with it, including sharing your frustrations about any NairaBET issue that you may be facing. But most times, you’re probably sending all these messages to the “wrong people” who can’t really help you. What if we showed you a couple of NairaBET social media channels that you can tweet at or message whenever you have any issues? On Facebook, you can search for us with the ID nairabetonline. You can also tweet at NairaBET on twitter; the account is @Nairabet. On Instagram, the account is @officialnairabet. 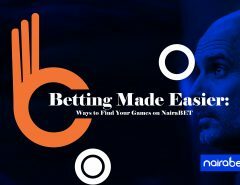 Resolving any NairaBET issue you have is as simple as going through any three of these channels – put a call through, send a mail or contact NairaBET through social media – that is actually the order of effectiveness. It doesn’t get any easier than this. Opening a NairaBET account is as easy as saying NairaBET. Just click here, fill in the necessary details and voila! A NairaBET account will be instantly opened for you. I want to withdraw my fund but my is still not Verfie yet since 5day now. Please call NairaBet customer care on 0700NAIRABET (070062472238) to lodge your complaint. Hello please I am calling from international and how do I get to customer care the number 0700 is not going and I have sent email without response. My bank account have not been verifid and have registered since last 6months. Sorry you might just have to call customer care eventually. Baba, call customer care to lodge your complaint. 070062472238. Please am unable to call this nairabet always number reachable, please I have been used this account number to withdraw almost five years now suddenly showing not verify.please my username is hollumeidey am unable to withdraw my winnings. When you withdraw money from your nairabet account hw many days it will take to credit your bank account? Pls how can I no my ID number, I have search my acct thoroughly but can’t find it. I made deposit to wrong account. Can this be reversed? System.ServiceModel.CommunicationException|The maximum message size quota for incoming messages (524288) has been exceeded. To increase the quota, use the MaxReceivedMessageSize property on the appropriate binding element. Have you called customer care? Please call our customer care for issues like this. 070062472238 is the number to call. I have been calling customer care to resolve my issue but to no avail. I want to withdraw fund. I played a game of pick 1X2 5games and 4games entered, I don’t know how to get my winning amount. Do call customer if you need help with that anyway. I couldn’t use my bonus funds, is there anything I need to do? Have been tryin to withdraw nd it keeps telling me declined… Why? Have been withdrawing with ever since.. Why d issue now. Please call NairaBET customer care to get this resolved. Please call our customer care guys on 0700NAIRABET (070062472238). I have been trying to deposit my naira bet account, but telling my account has been blocked, why? Please call customer care to lodge your complaint: 070062472238. I need your help I opened nairabet account online I no longer get access to my account, what do I do to get my account back? Call NairaBET customer care on 0700NAIRABET (070062472238). Only NairaBET customer care can help you with that! Pls the name on my nairabet account is Ologundudu Ebenezer, on my bank account is Ologundudu Ebenezer Ayokunle. Pls help me to solve this problem. Pls my account need to be deactivated for me to run my office. I’m a new agent in bwari Abuja and for 2 months now I’ve been about of work cos I can’t log in. I need help immediately so as to go into business. Pls it should be done fast. I’m loosing gas already. Thanks. I haven’t been able to use my bonus credit to place a bet! I need to play some matches ASAP! Please call NairaBET customer care on 0700NAIRABET (070062472238) and pass your complaint to them. Please call Nairabet customer care on 0700 6247 2238 / 0700 NAIRABET. They will help you. I made a withdrawal since morning uptil now no alert… Why the delays?? If you haven’t seen it yet, please contact NairaBET customer care on 0700NAIRABET (070062472238). Please I made mistake by crediting someoneelse account, please can I do at this point.? I’ve been trying to call the nairabet customer care line and it’s not going through, my question however, is the red card option no longer available? The red card option is no longer available.